Both artists met again, but this time in front of hundreds of embryos placed inside Institut Marquès’ incubators in Barcelona, Rome and Clane (Ireland). The assisted reproduction centre achieved the Ig Nobel Prize thanks to its researches on the positive effects of music on the embryonic and foetal development. BARCELONA, Spain, May 23, 2018 /PRNewswire/ -- Institut Marquès, worldwide leading fertility centre, has hosted a new live concert for embryos at its laboratory in Barcelona. 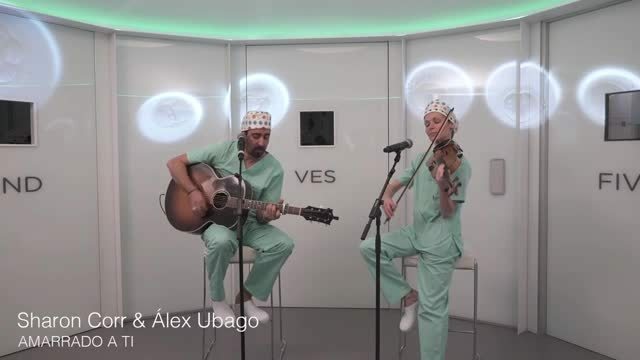 Thanks to the streaming technology, artists Sharon Corr and Álex Ubago performed for hundreds of embryos growing in the incubators at the Barcelona clinic as well as for those developing inside the incubators at the centres in Clane and Villa Salaria (Rome). Sharon Corr, singer-songwriter member of the famous Irish band The Corrs, and Álex Ubago featured several songs, i.e. “Amarrado a ti” (“Tied to you”) and “Buenos Aires”. 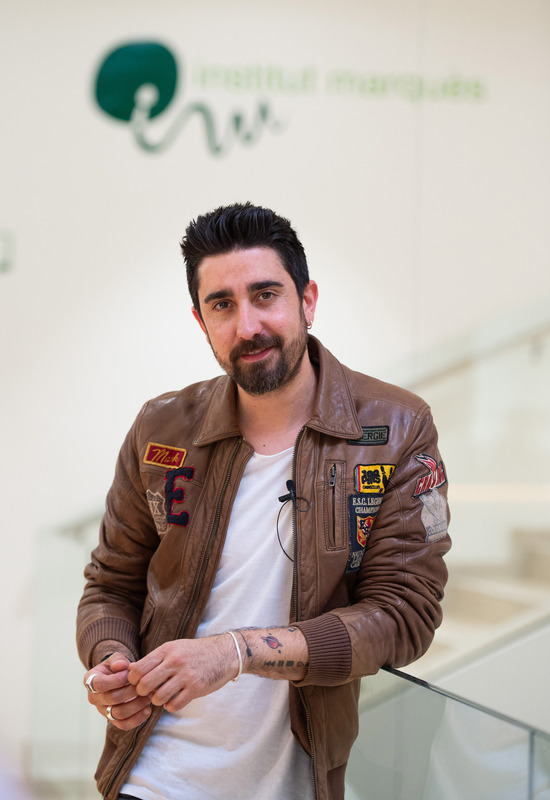 “It was a very emotional experience. It is great to think that possibly we can be part of the future, that we can make it change. 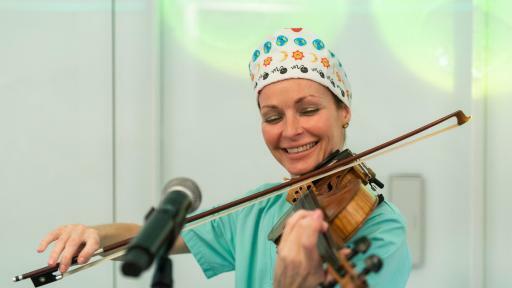 I am so amazed about the whole process and how it works and yet, in a way, I am not surprised that music really helps the embryos to form; this does not surprise me because music is the greatest therapy in the world so I feel very honoured to be asked to do this”, said the singer and violin player Sharon Corr. Álex Ubago and Sharon Corr during the concert. Sharon Corr, Dr. Marisa López-Teijón (CEO Institut Marquès), Dr. Carolina Castelló (Lab Director) and Álex Ubago. Sharon Corr at Institut Marquès. Álex Ubago at Institut Marquès. 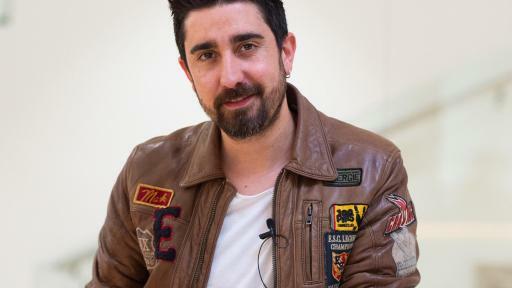 This performance follows the lead of other artists such as the famous Spanish singer-songwriter Antonio Orozco. 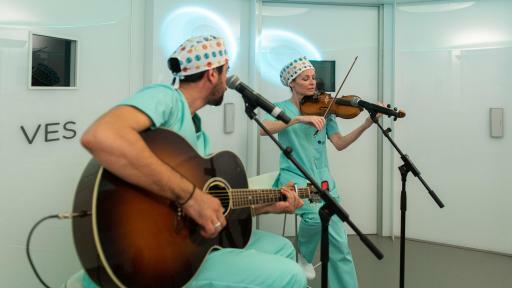 Institut Marquès plans to offer further live concerts at their laboratories in the coming future. 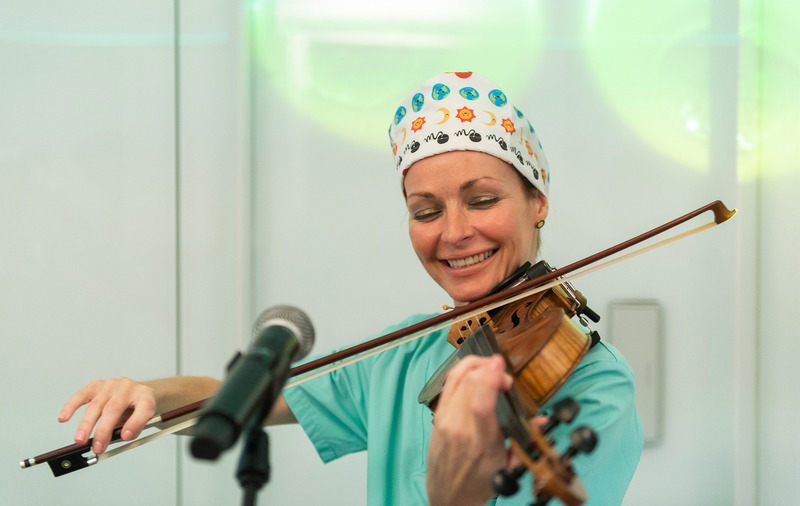 These events, which are unique in the world, fall within the works undertaken by Institut Marquès on how music benefits the embryonic and foetal development. Those studies were awarded last September by Harvard University with the Ig Medicine Nobel prize in the Obstetrics field. The goal of this award is to promote that scientists from all over the world can present their studies to the audience in a pleasant and enjoyable way. The Ig Nobel Prize has also been a recognition of the investigative and innovative work that Institut Marquès carries out in order to improve its treatments. Furthermore, the Ig Nobel organisation chose Institut Marquès researchers to present their work on a tour around the most important Universities in Europe in the past month of April. Doctor López-Teijón, Institut Marquès’ Director, alongside Doctor Álex Garcia-Faura, Scientific Director of the centre, presented their studies on foetal hearing and the positive effects of music at the beginning of life at the Karolinska Institute, the Stockholm University and the main Danish Universities, The most widely attended event took place at the Aarhus University (the main University in Denmark) with more than 800 attendees. At the same time, hundreds of people followed the conference via live streaming, from one of the 50 enabled access points. 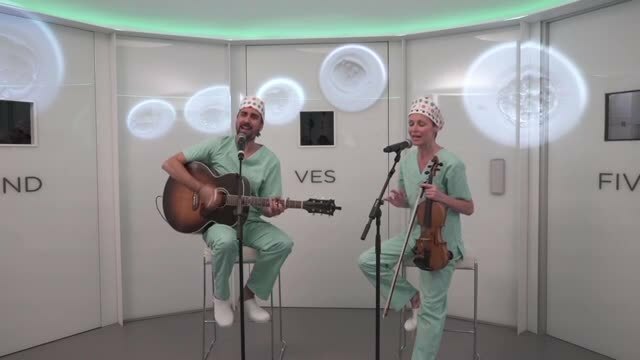 The above-mentioned Institut Marquès’ studies have proven that musical vibrations during IVF fertilisation increased the chances of success by 5%, as well as the embryo development. 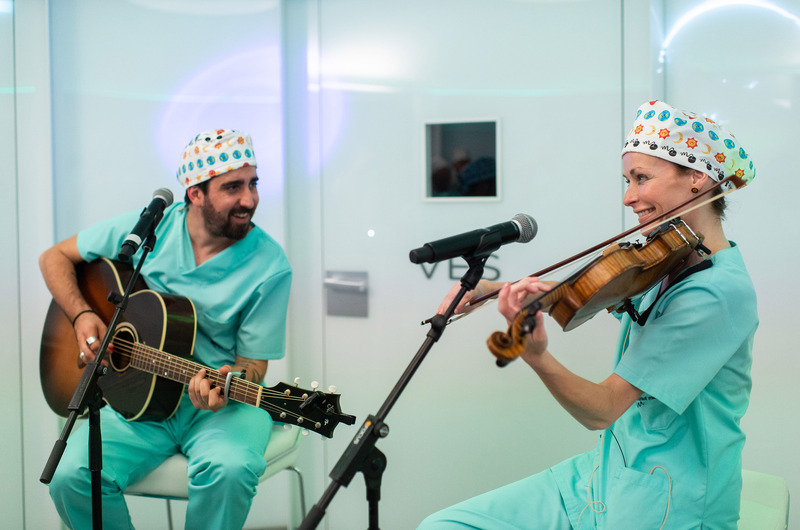 This is why the clinic has created an innovative method, which includes the implementation of music in every embryo’s incubator. 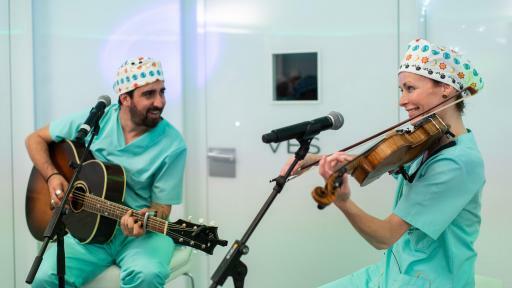 According to the studies carried out by Institut Marquès, musical vibrations stir the culture mediums where the embryos are swimming, while producing a uniform distribution of the nutrients they need as well as spreading the toxic substances they produce. Moreover, this system allows us to recreate at our laboratories the natural physiological conditions of movement that embryos have when travelling from the fallopian tubes to the uterus. 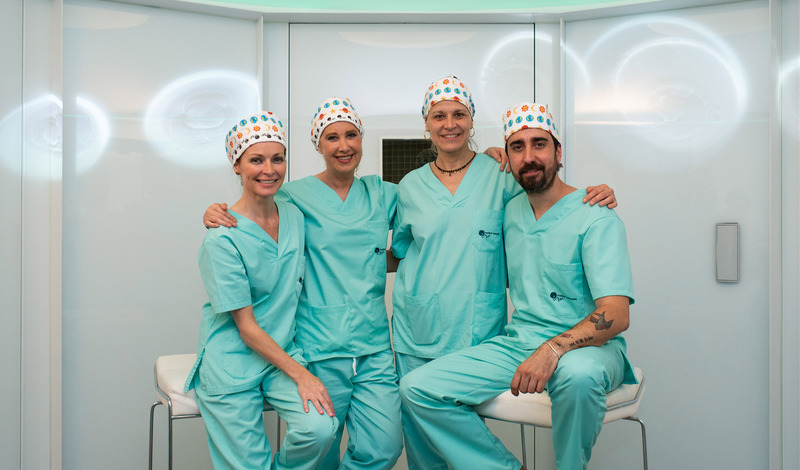 Institut Marquès is a worldwide leading centre for Gynaecology, Obstetrics and Assisted Reproduction based in Barcelona with branches in London, Ireland (Dublin and Clane), Italy (Rome and Milan) and Kuwait. The centre, with an extensive experience in particularly difficult cases, helps people from more than 50 countries to achieve their dream to become parents. Institut Marquès offers the highest pregnancies rates, with an 89% per cycle, for IVF with Egg Donation treatments. 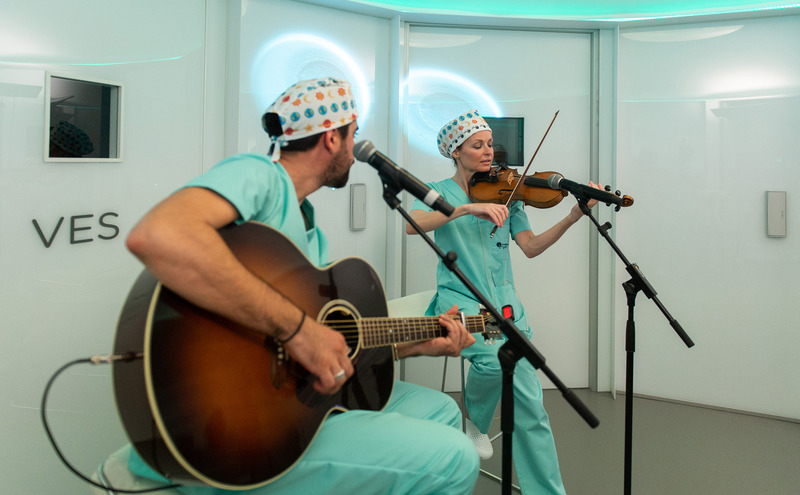 Innovation leader, the clinic develops an important research line on the benefits of music at the beginning of life and on foetal stimulation. Moreover, in relationship to the environment, Institut Marquès has been carrying out studies since 2002 that link environmental toxins to infertility and to the outcome of the Assisted Reproduction treatments.